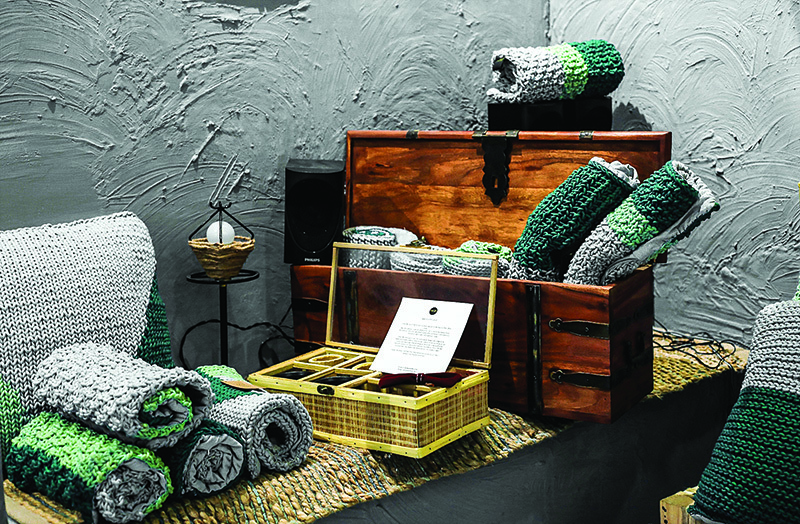 Earth-friendly home decor soothes not only the eyes, but also the soul. 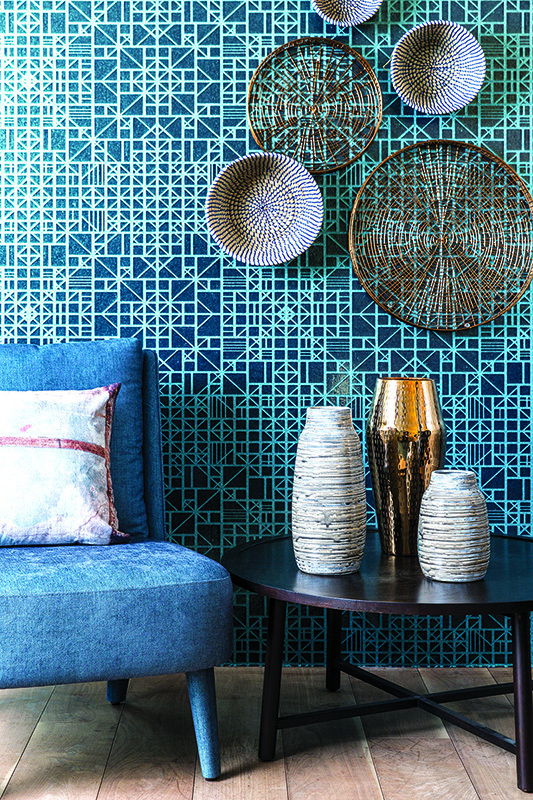 Take inspiration from our carefully curated spread of furniture, furnishings, and accessories made from eco-friendly or upcycled materials and take a step towards living a green life in tandem with the environment around you. 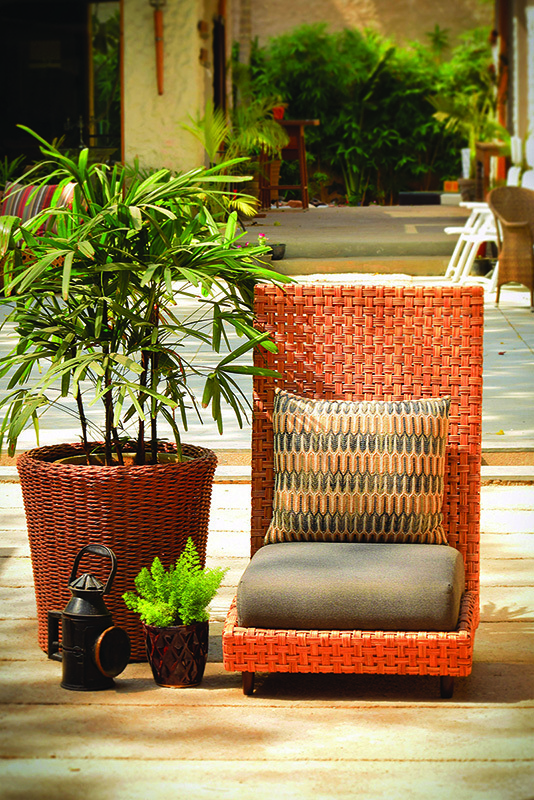 Sea Grass woven baskets (available in varied sizes) and trays from Dome Deco come in natural tones, making each product a unique one. 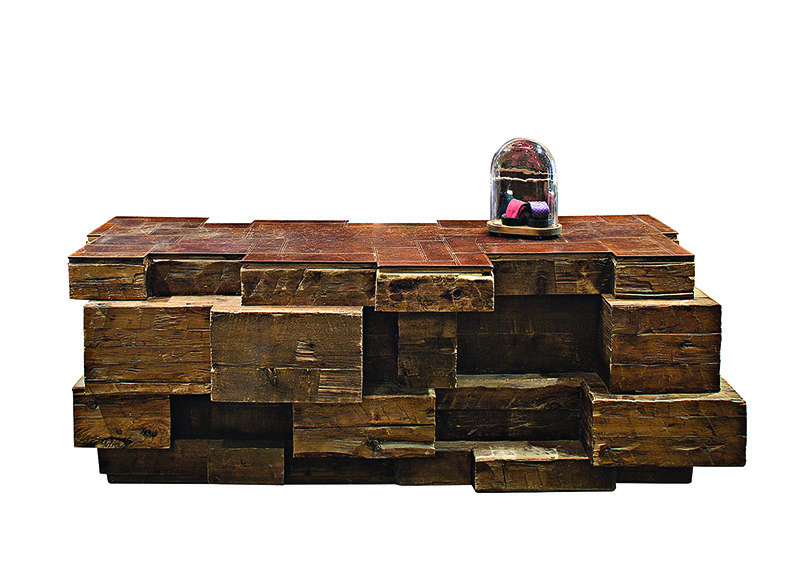 The Lithium wall divider has been crafted from leftover pieces of mango and sheesham wood. 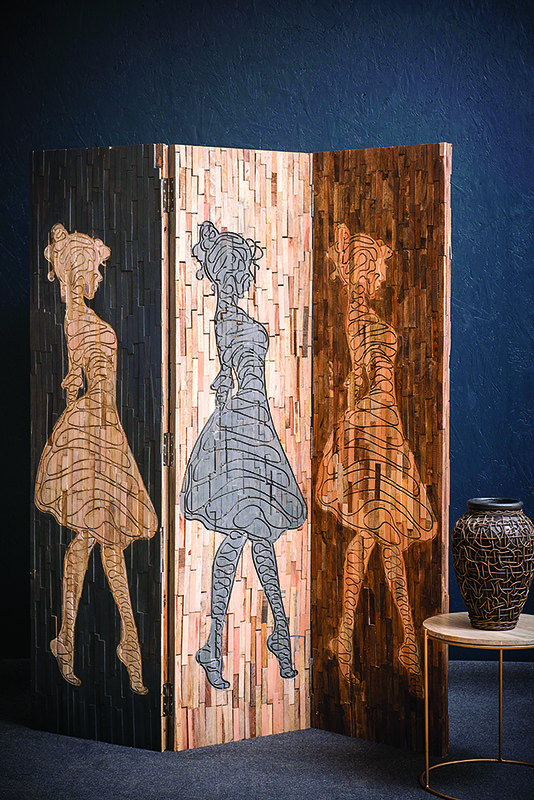 The artwork on the divider is set against strips of wood in a combination of finishes. 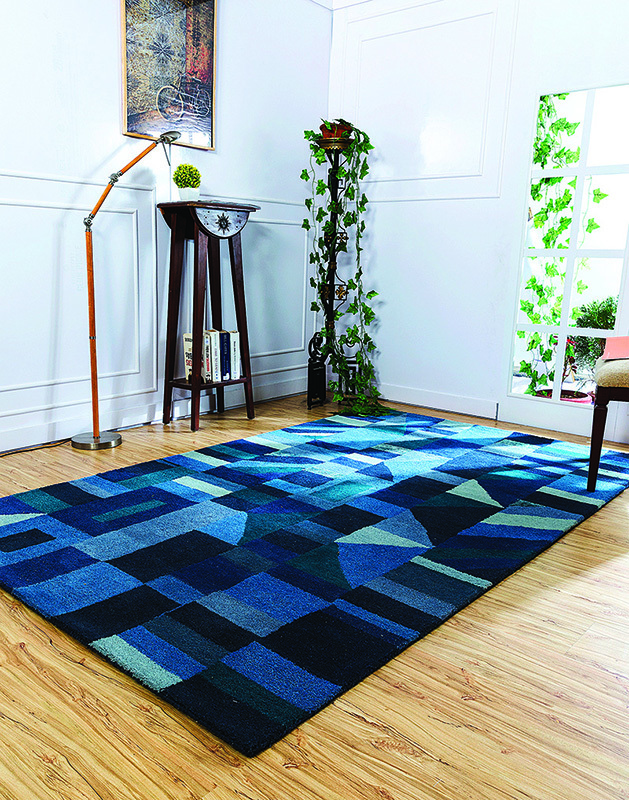 Handtufted in wool and viscose, the Ciyaroo rug in denim blue is inspired by simple geometric patterns crafted in a playful and contemporary style. 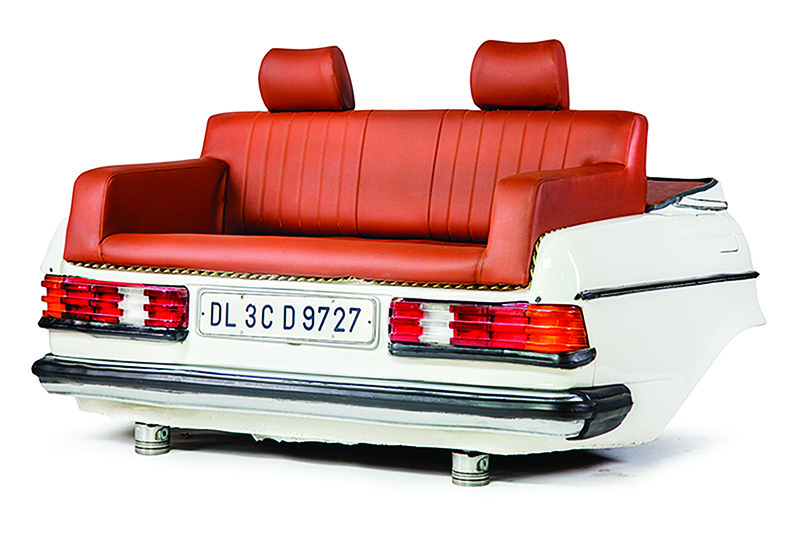 The one-of-a-kind Mercedes Sofa has been created from the back of a genuine Mercedes and mounted on its own pistons. The original headrest has been retained and the upholstery is in a premium leather finish. 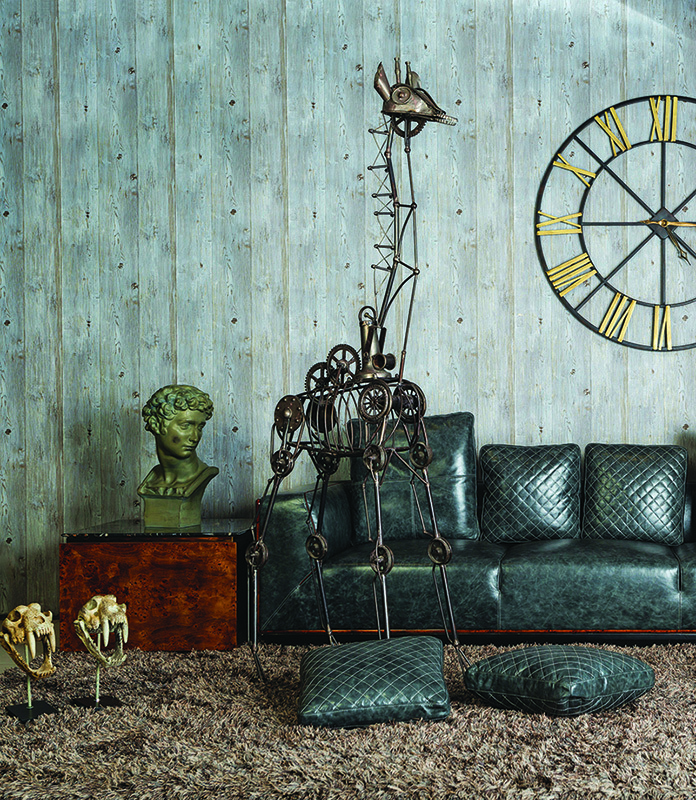 Nuts, bolts, screws, washers, lug nuts, nails and other pieces of metal have been repurposed and used to create this ultra-modern industrial sculpture of a giraffe. 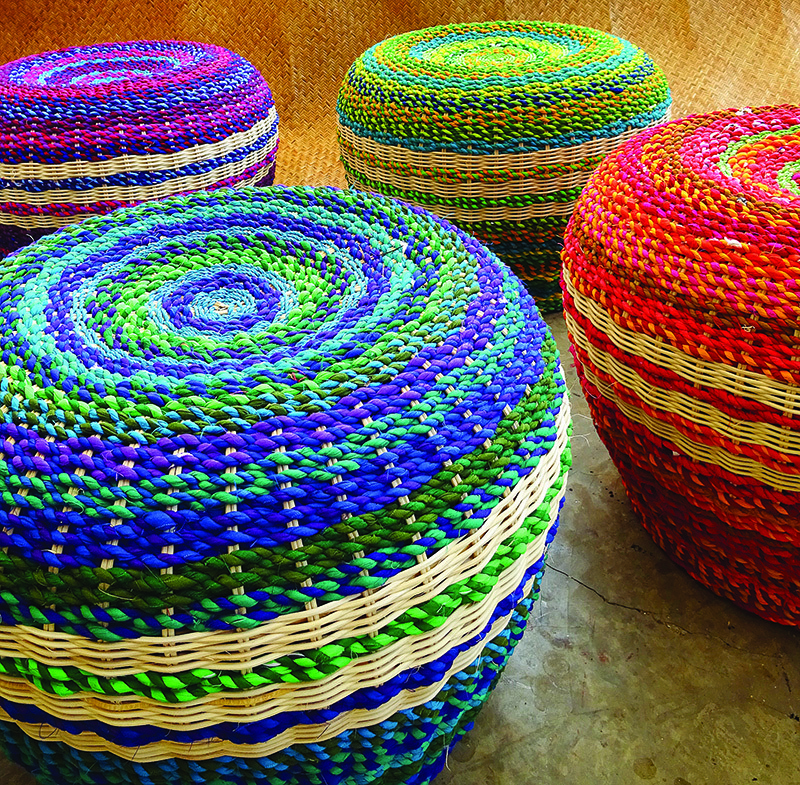 Having been made from woven ropes of textile scrap, these vibrant cane pouffes are a fine example of the perks of upcycling. 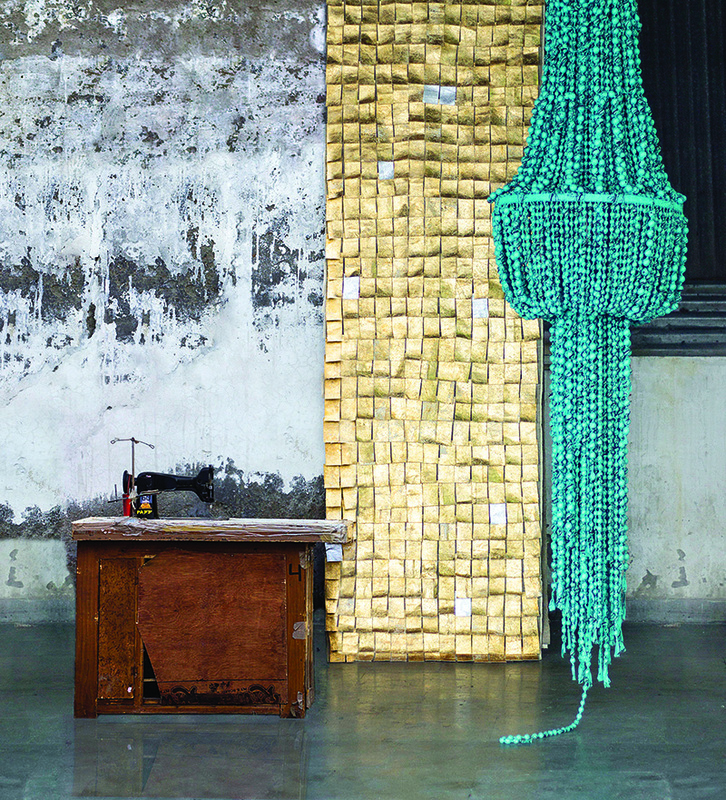 This gorgeous turquoise chandelier has been crafted from leftover wooden balls and covered in scrap fabric to make a striking eco-friendly statement. 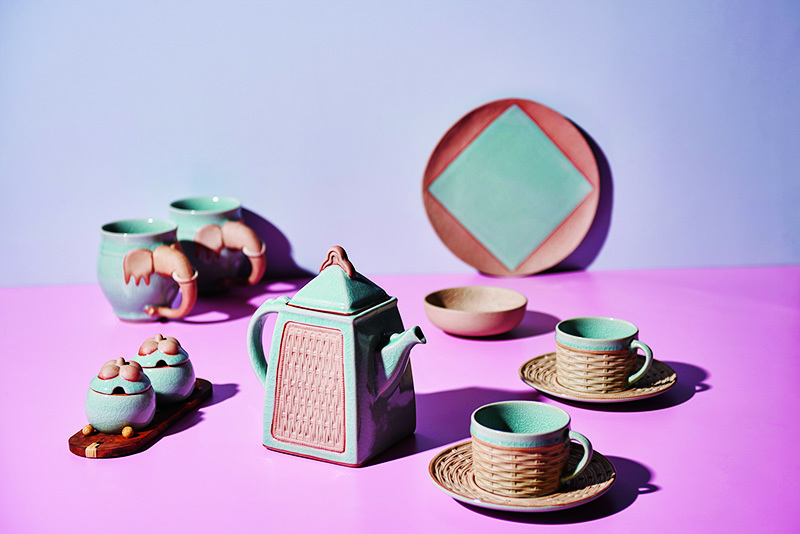 The Tenmoku form of pottery making which goes back to China’s Tang Dynasty is reflected beautifully in these ensemble of vases, platters, mugs and masks from the Soulful Creations range. It’s impossible not to pause and admire these sculptures when you walk into a room. 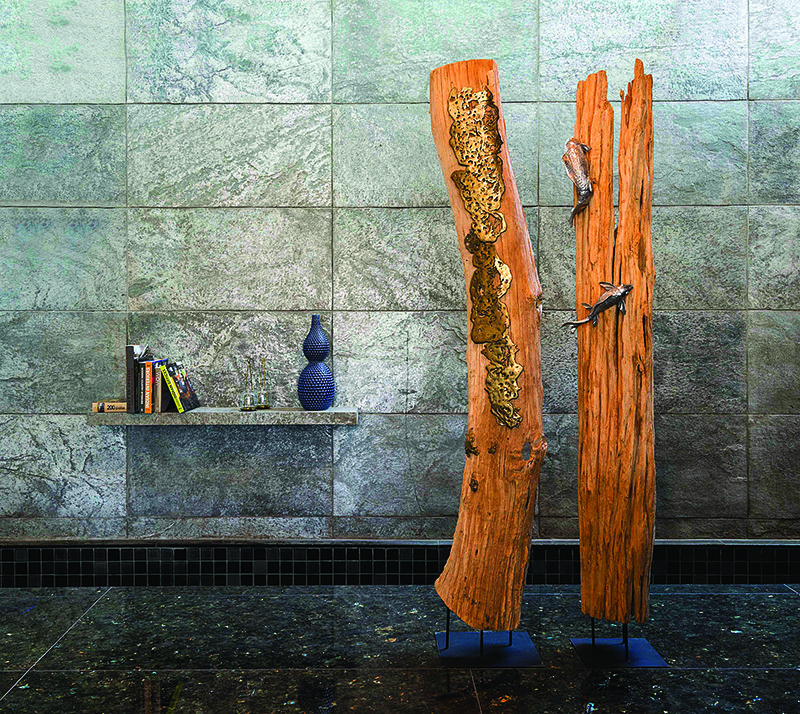 Retaining their natural beauty and texture, the sculptures are made from driftwood and come with a metal base. 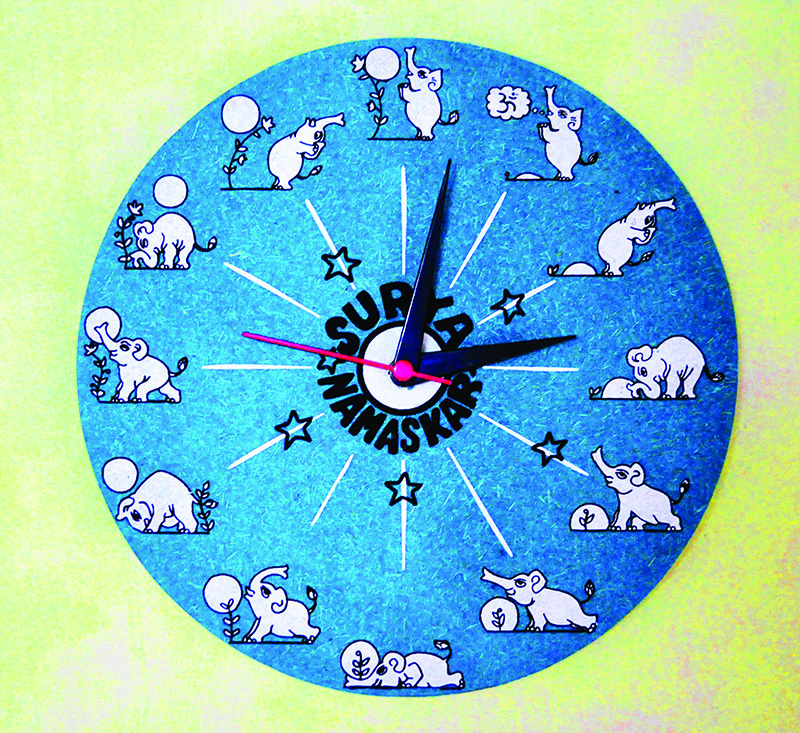 Add some quirk to your home decor with this round wall clock that showcases a graphic of an elephant in the various asanas of the Surya Namaskar. Interestingly, it is made of paper created from elephant dung. Ergonomically designed for complete relaxation, the Cool Chair is handmade with natural translucent white willow wicker fibre woven in an intricate checkered pattern. 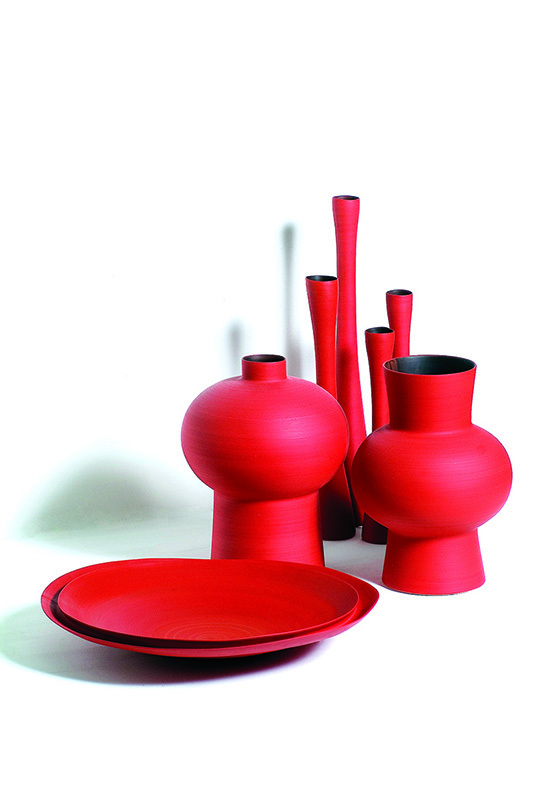 Elegant and subtle, the handmade clay vases and platters in red from Rina Menardi would make a striking statement wherever it is displayed. The design of the meditative Tantra Fold Table Lamp is influenced by the Tantra painting which features motifs from Indian mythology. It has been crafted in wood and brass. 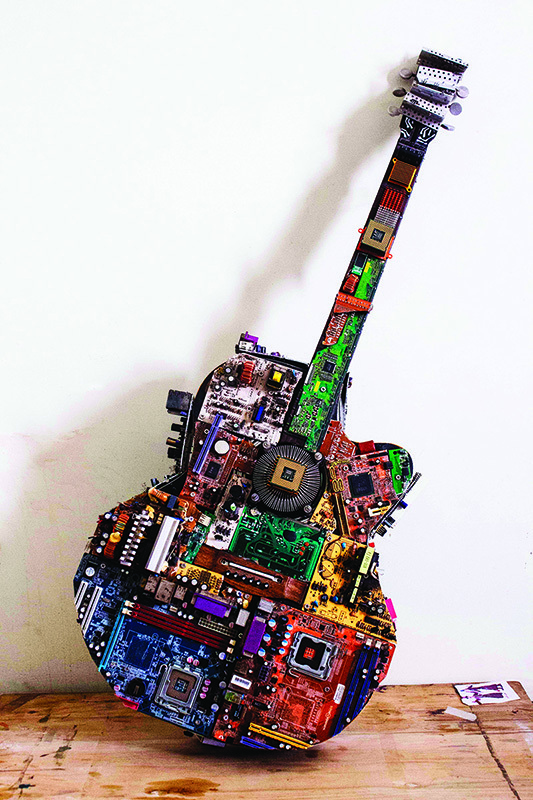 Titled ‘Next Generation’, this guitar has been assembled using e-waste. 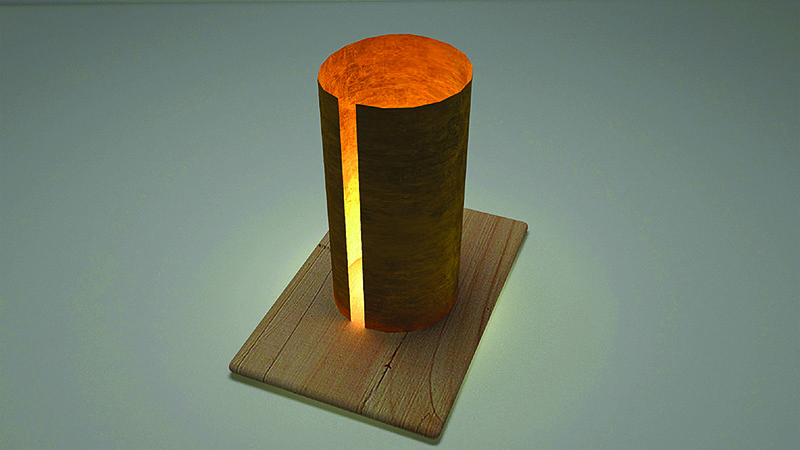 The idea behind the concept is to throw light on how man is dependent on machinery. Hand-woven from thick strands of natural fibre, hemp, and recycled denim, the Diamond Rug has a textural appeal and a soft feel underfoot. Available in three colours: red, green and blue. Enjoy a cuppa or an interesting novel sitting on this armchair. It has a powder coated aluminium frame and a hand-woven fibre back. 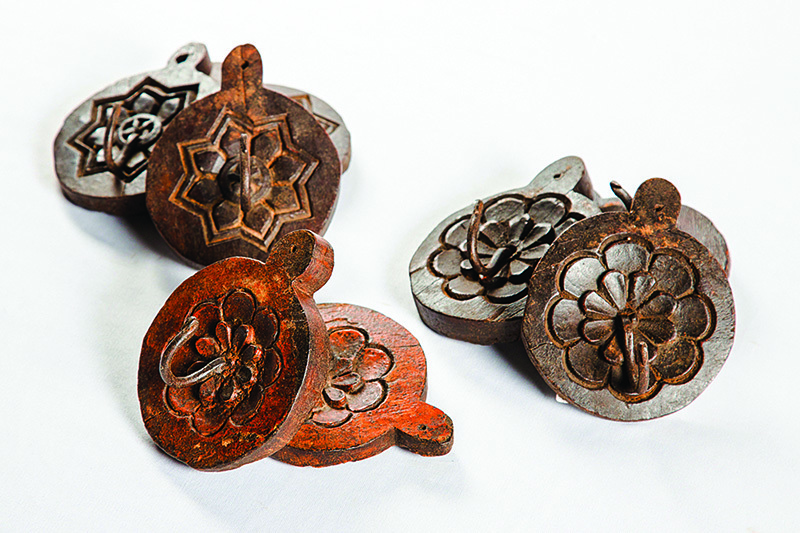 These wooden hooks with carved floral motifs look like you would find them in your grandma’s ancestral home. 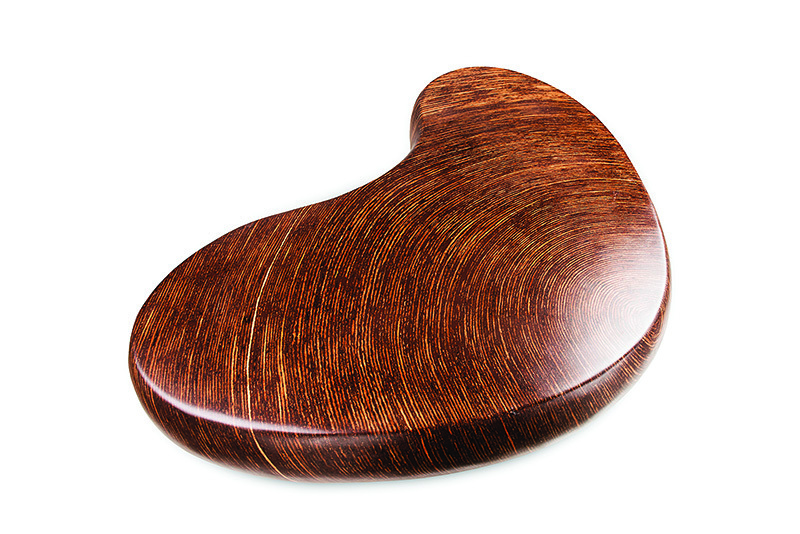 They have been created from reclaimed teak wood. 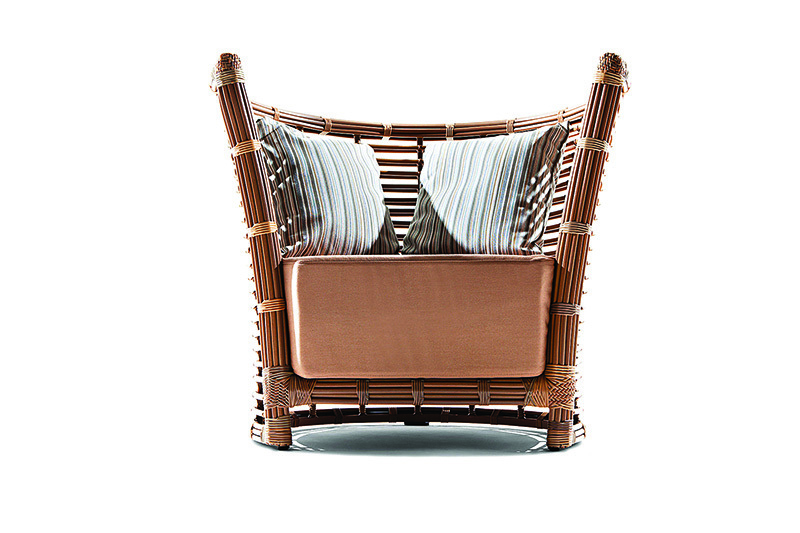 Kitsch at its best, the Humara Bajaj chair is made from the front section of the iconic scooter of middle class India. 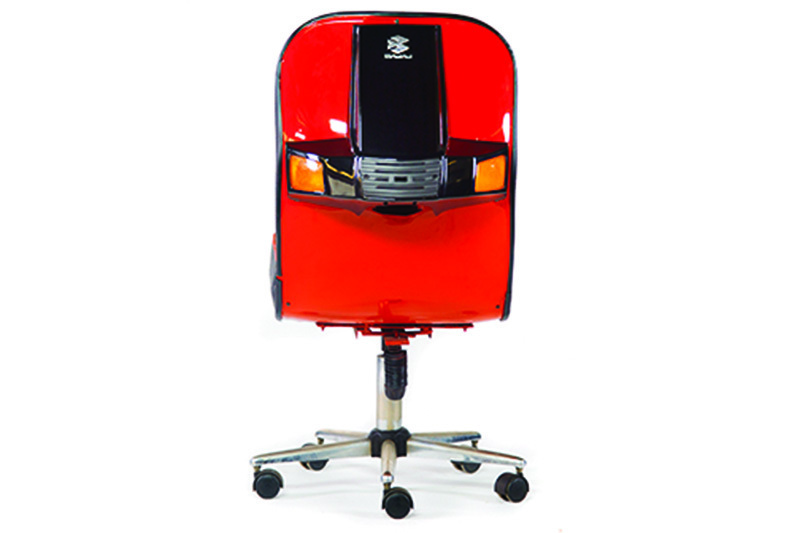 The scooter has been cut in half, upholstered with black and red leather and attached to the base of a revolving office chair. All original lights and fixtures were incorporated to give it an authentic look. 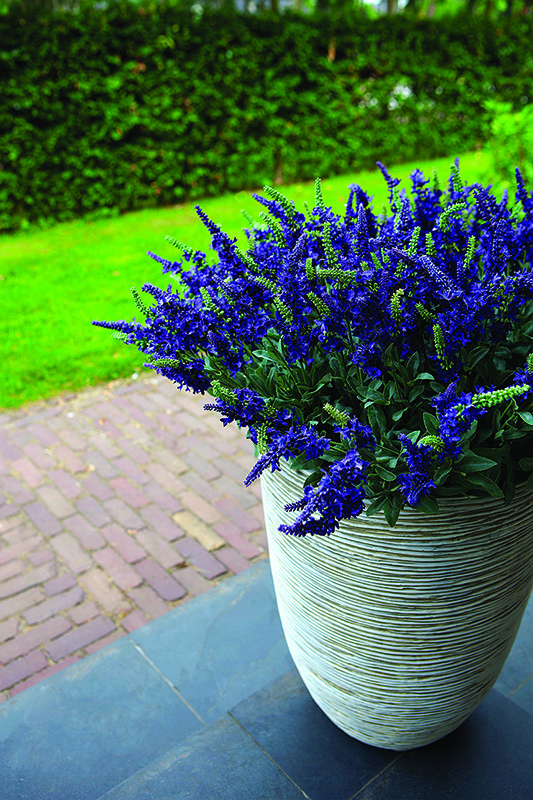 From the house of Capi Europe, a Holland-based brand that creates unusual planters, comes this lovely pot from the Nature series. It features narrow, wavy lines and is lightweight, fracture-resistant, and recyclable. 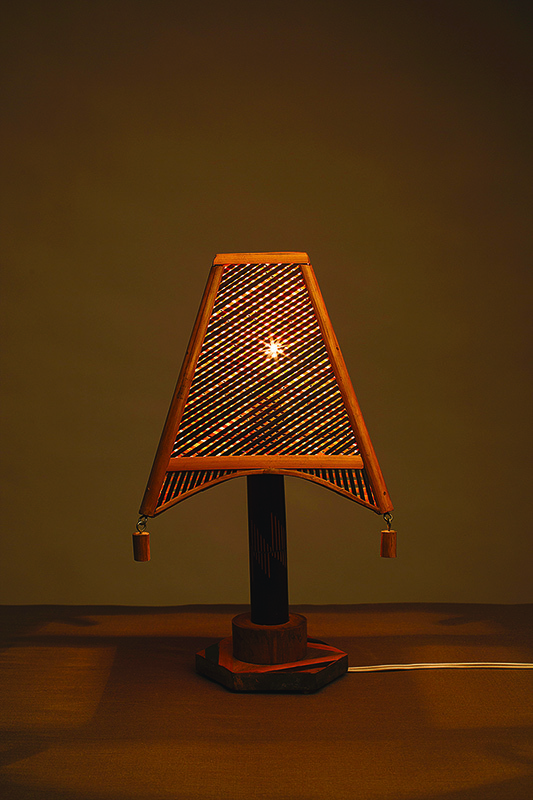 Made from bamboo and cane, the Big Pagoda Table Lamp would make for a thoughtful eco-conscious gift for one’s home. 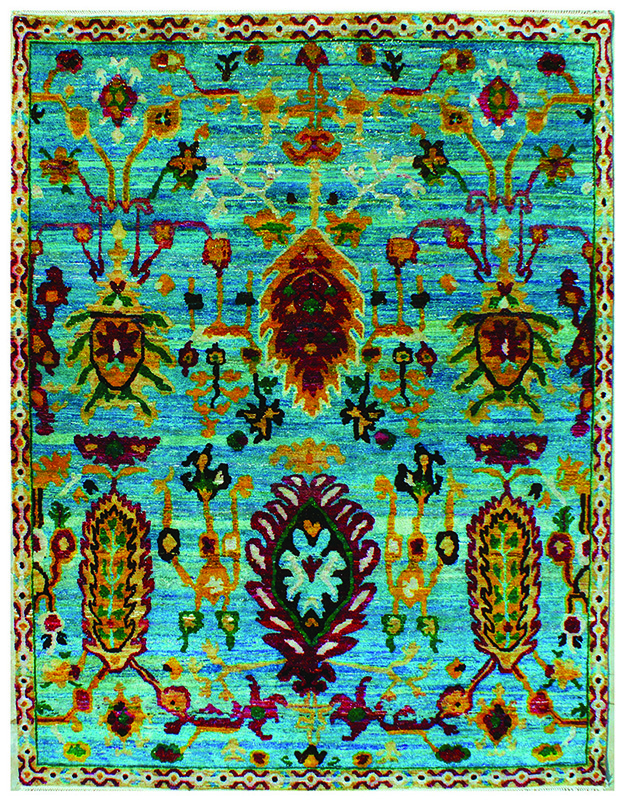 Kaju Katli, the traditional Indian sweet was the inspiration for this handcrafted Zoet rug. 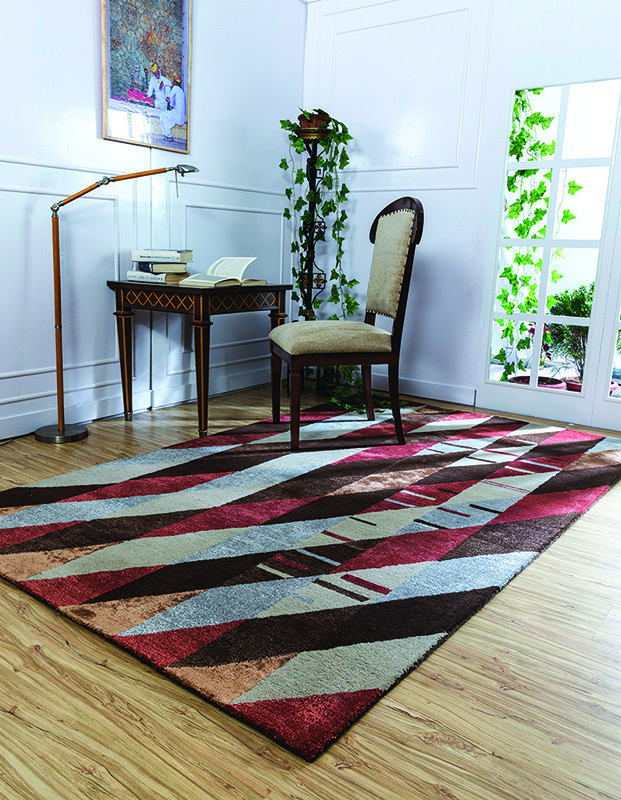 Made from wood and viscose, the rug comes in a cocoa brown hue. 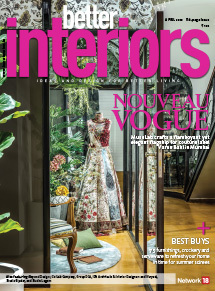 The Sari Exotica collection of rugs is inspired by an eclectic mix of styles, from contemporary decorative patterns to interpretations of traditional patterns from yesteryear. 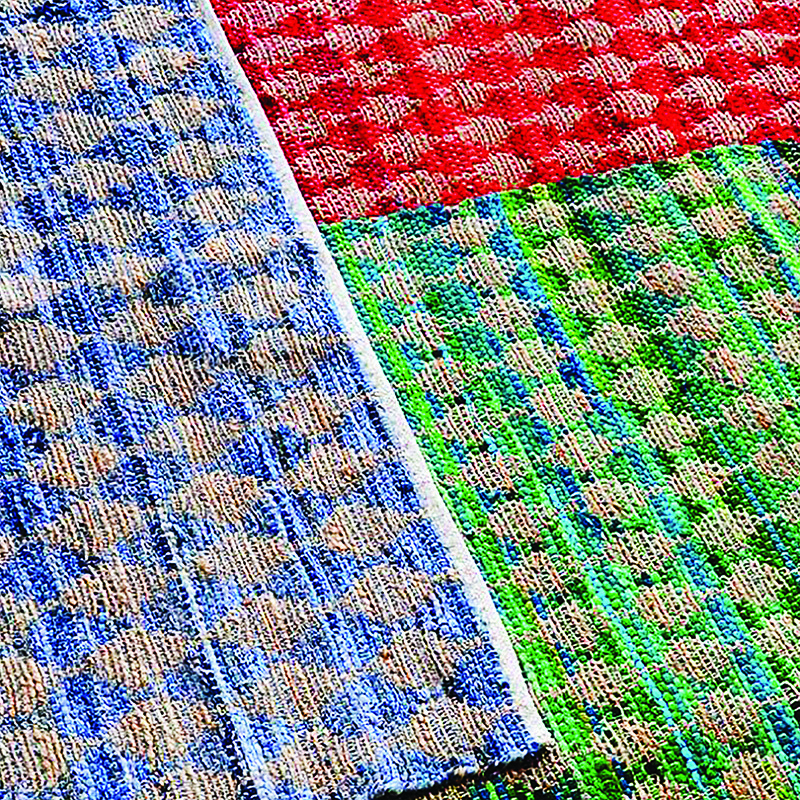 These rugs have been created from yarn that has been spun from remnants of very fine silk saris and then given a signature special wash for a wonderful sheen. Inspired by delicate Mughal jewellery, the Noor Spire Jar is handcrafted in silver-plated brass, recycled teak, and borosilicate glass. 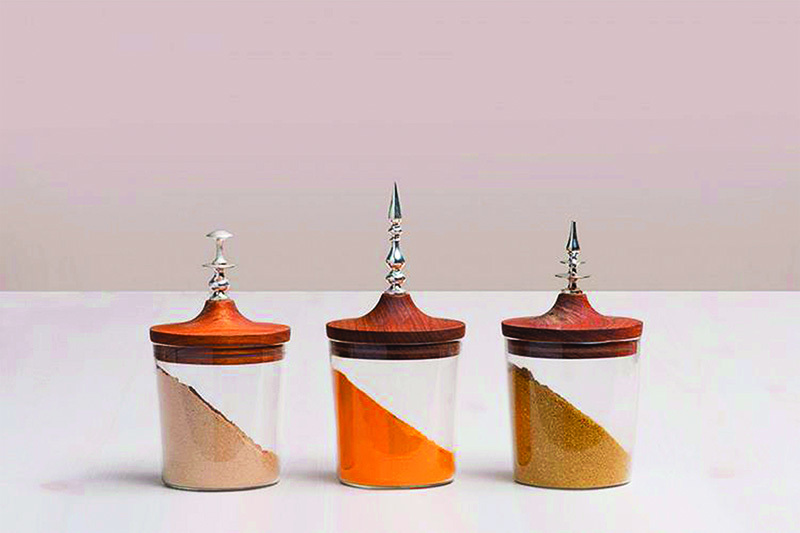 An elegant solution to store food or jewellery, this jar can sit well on a counter alone or as a set. 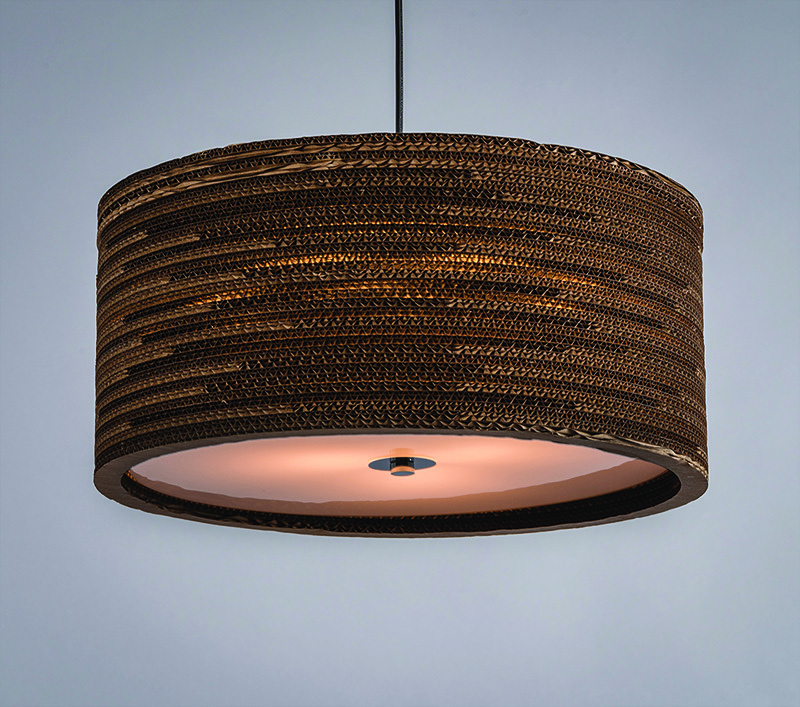 The Papyrus Hanging Light comprises a stunning circular design with an intricate laser-cut pattern on the drum of the body. It is made of sturdy, recycled industrial grade paper. 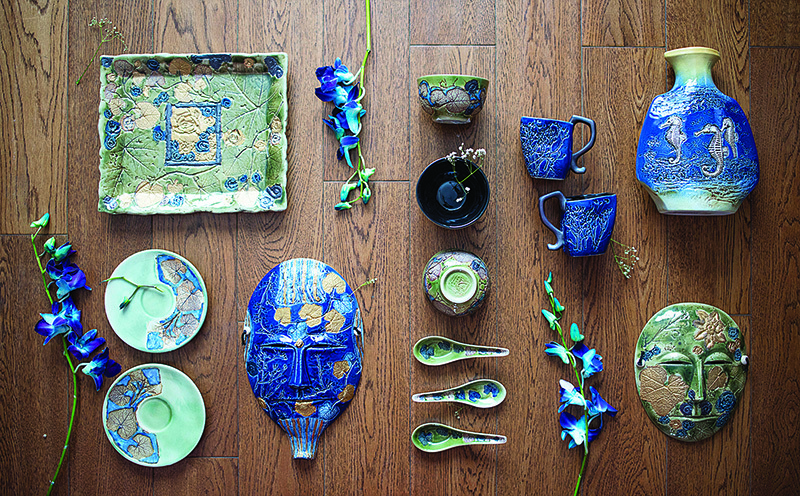 Originally emerged in China under the Shang dynasty, the uniqueness of the Celadon art of pottery-making is its celadon colour which is classically produced by firing a glaze containing a little iron oxide at a high temperature in a reducing kiln. Its best represented in this beautiful tea service set. The uneven surfaces of these hand-knitted cotton yarn cushion covers impart a shabby-chic beauty that can only come from the handmade. Snuggle up for a cosy nap with the Polka Dots Turquoise bedcover set and quilt. 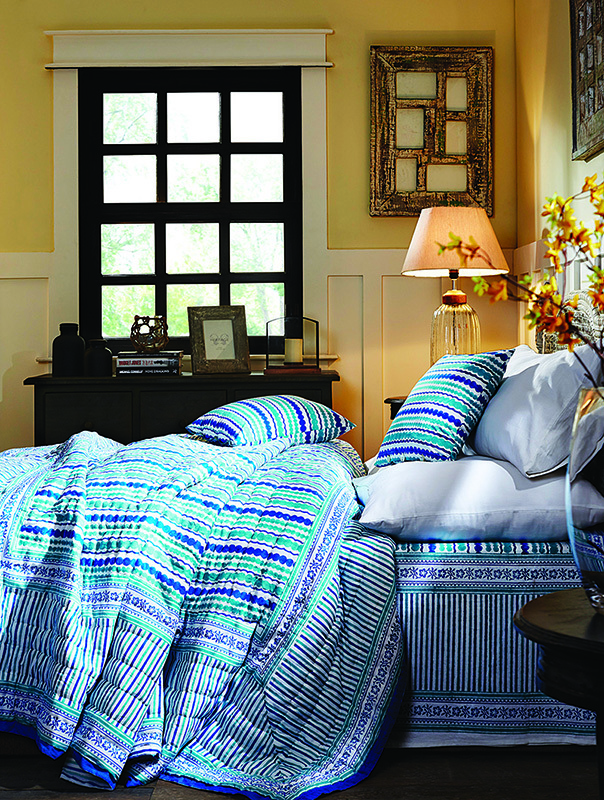 They are made from 100 per cent cotton and 100 per cent cotton voile, respectively, with hand-blown cotton making up the filling of the quilt. Made from reclaimed wood, this beautiful cabinet comes with cleverly designed drawers and shutters to be admired from all sides. The cracks and knots in the piece have been enhanced by using techniques like burning and darkening. 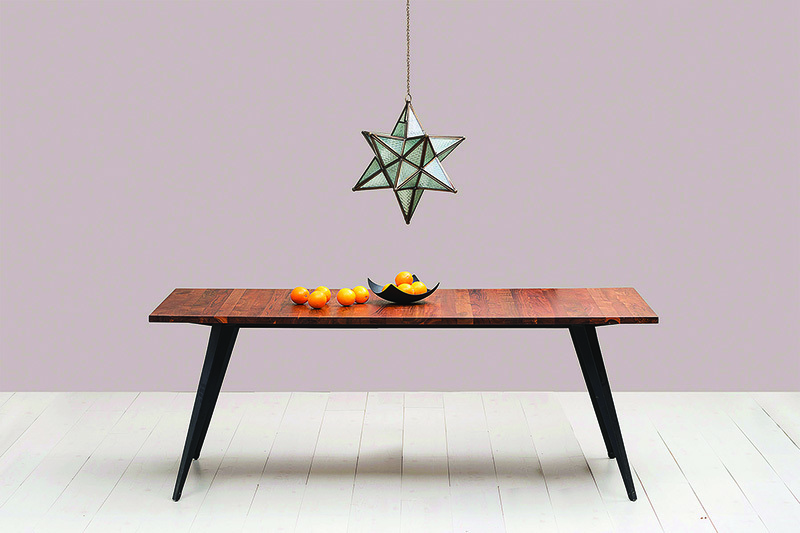 Scott is a modern centre table with a stylish design. It is made of coco twigs in a natural finish. 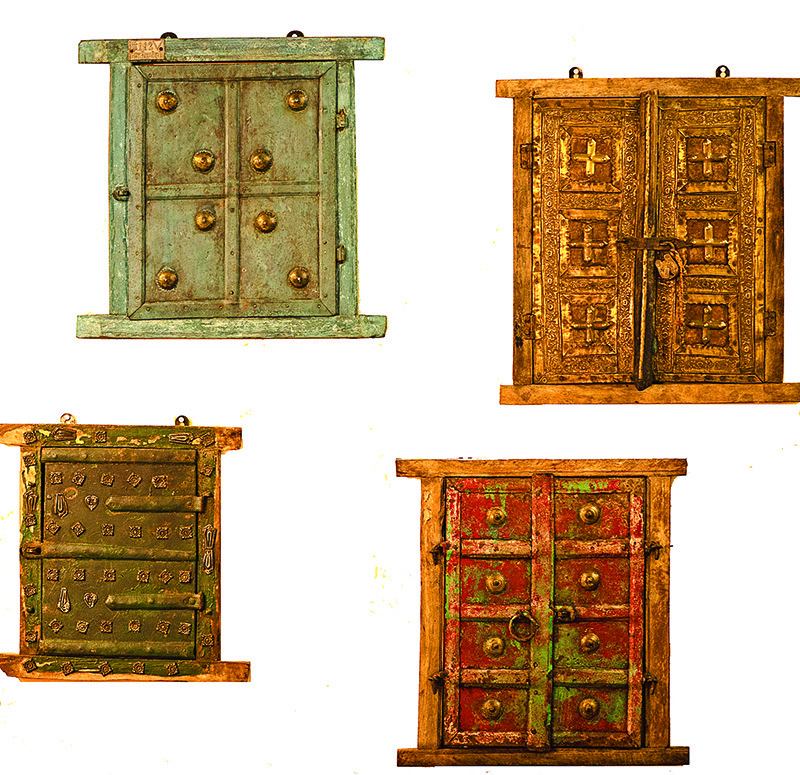 Carved out of wood, these vintage Jharokha windows are a testament to the exquisite skill of Rajasthani craftsmen. 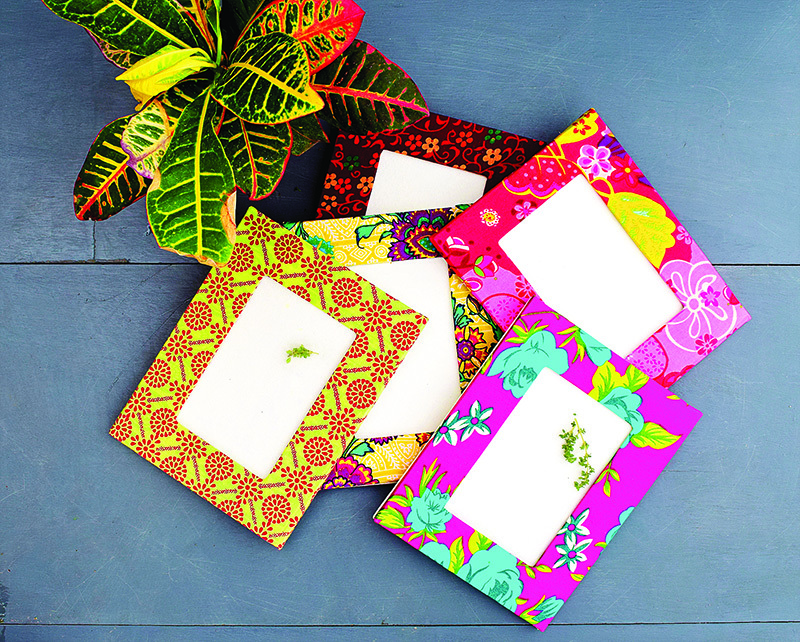 Adorned with beautiful traditional patterns, the windows would make for some stunning wall art. The characterful Soho Table by AKFD Storey is a statement in repurposing great materials — it has a teak top and cast aluminum legs, both recycled.